went out for groceries, found this. Asakusa is the neighborhood in Tokyo where we were staying. It was a fortuitous choice. 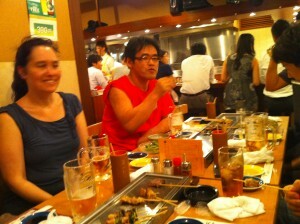 The first night we were there, my friend Iku and I walked to a sento – and old-style Japanese bath. (Note: bathhouses in Japan don’t have the same connotation that they do in the U.S.) It was incredibly relaxing, after 12 hours on the plane, to wash and sit in the hot water. According to Iku, who’s Japanese, traditional sentos are hard to find in Japan these days. 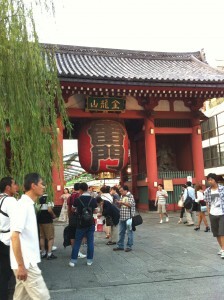 Asakusa is evidently one of the few places in Tokyo you still can. So I liked it a lot. The rest of Tokyo sometimes felt like an entire city made out of Times Square. Asakusa, on the other hand, is wonderful mix of residential zones, old-style buildings, and modern-ADD-blinky commercial areas. The second afternoon we were there, I went out to find a grocery store and randomly stumbled across this gigantic gate, called the Kaminarimon. I did also eventually find the grocery store with its $5-a-piece peaches. 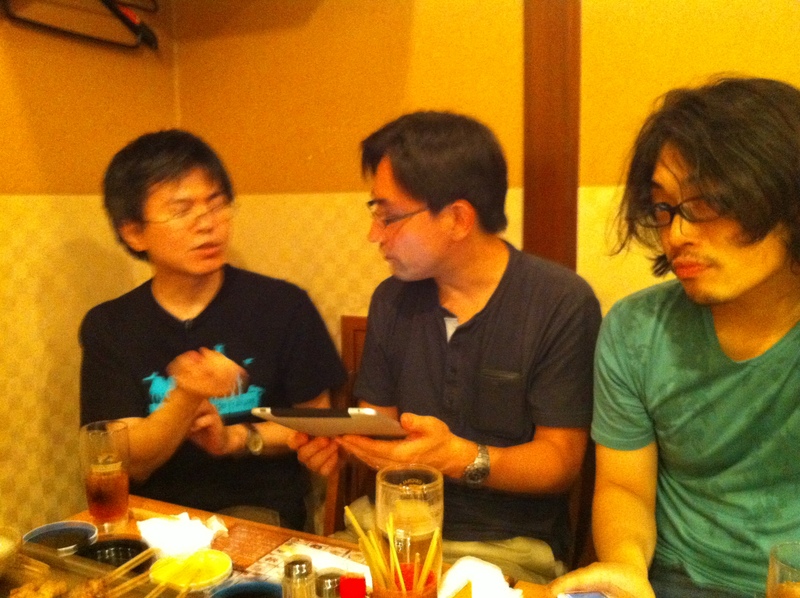 I posted the picture to Twitter, and Shintaro Kakutani saw it, recognized it, and invited me to their meetup. So Sarah and I took the subway a few stops down on Tuesday night. I brought my laptop, prepared to hack, but the schedule was more oriented towards the “meet” part of meetup. It was fantastic. I am told there is usually more hacking, but beer is a great social lubricant. I’m incredibly self-conscious about speaking Japanese, because I know I’m not very good. But somehow, when I have beer, I don’t care as much. 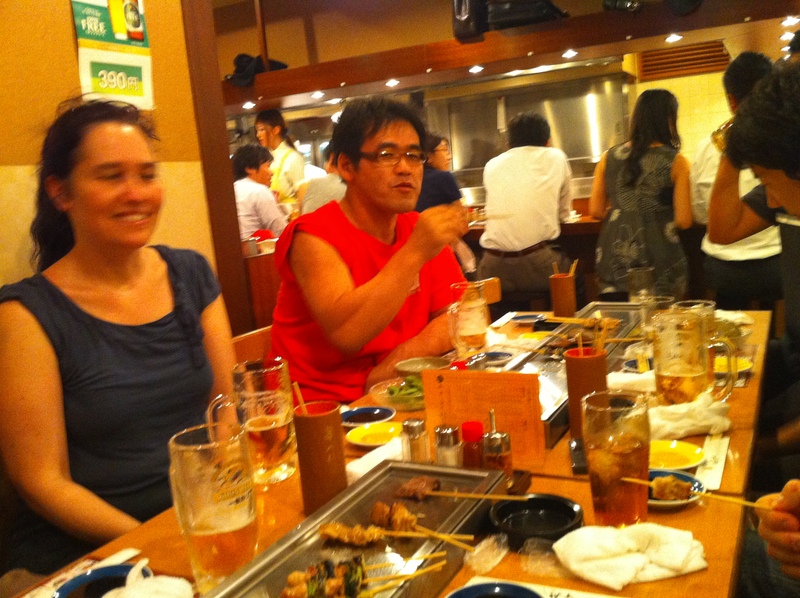 Aaron Patterson, in his RubyKaigi talk, said that people are interpreters with very forgiving parsers. As it turns out, he’s right! So even though I speak horrible Japanese, my meaning got through most of the time. I’m eternally grateful to all the Asakusa.rb folks for not outright laughing at me whenever I opened my mouth and said something inappropriate or totally nonsensical. Which I’m sure I did often. 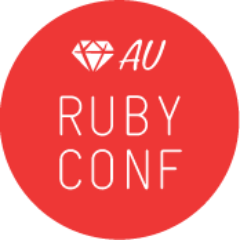 Sarah and I had such a good time, there and at RubyKaigi later in the week, that we decided to ask Asakusa.rb to be officially friendly with SF Ruby. Akira sort of had to say yes. After all, we gave him Ghiradelli chocolate. 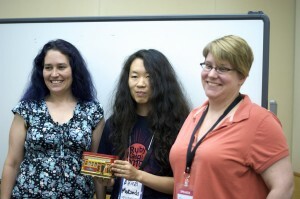 So now we are sister meetups, and Sarah and I are official members of Asakusa.rb (we’re even on their twitter list). 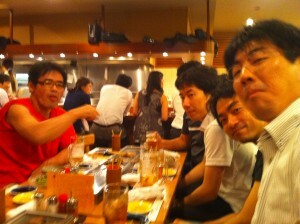 Next time: hacking and beer together. Hopefully in New Orleans. 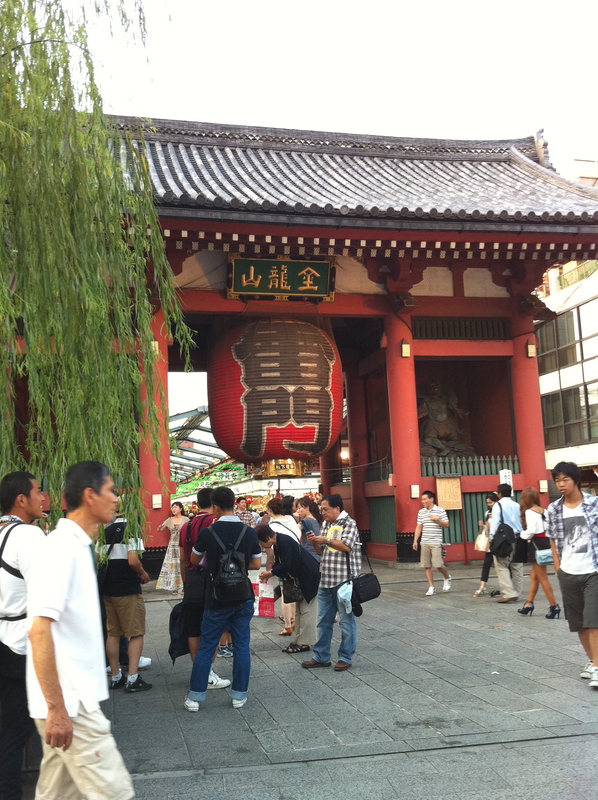 Until then, ありがとうございます Asakusa.rb, for making me feel so welcome in a place that otherwise felt a little alien. Geek culture really does transcend the language barrier.